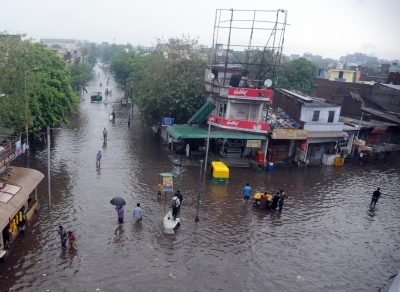 Ahmedabad July 12 (IANS) Heavy rains lashed south Gujarat region during the last 24 hours ending Wednesday caused by cyclonic circulation system over Chhattisgarh and Odisha disrupting transport services. Out of the 250 odd talukas (blocks) of the state 99 received a significant amount of rainfall led by Navsari district with 178 mm. Mahuva in Surat district received 176 mm rain. This was followed by Jalalpore with 169 mm Valod 142 mm and Valsad with 126 mm. Halol region in Panchmahals district a in central Gujarat received 123 mm of rainfall. The torrential downpour disrupted rail services in the state forcing cancellation of many trains especially on the busy Ahmedabad-Mumbai route. The Karnavati Express and aAhmedabad-Mumbai Double Decker Express had to be cancelled while the Garib Rath had to be halted at the Vadodara railway junction. There were reports of waterlogging on many of the roads including the national highways. The traffic got jammed on the national highway 8A near Navsari in southern Gujarat. Due to the heavy rains and water logging around a thousand persons had to be relocated to safety. Waterlogging was also reported from Valsad district where the rising waters of the Auranga river entered many houses. Jayesh Patel a revenue official in Valsad said: "Two National Disaster Response Force (NDRF) teams have been deployed to help relocate residents." A total of fifteen teams of NDRF have been deployed across the state and are on a standby ready to be put into action in case of disasters. The state authorities have advised fishermen not to venture out into the seas. "Heavy rainfall is expected in the eastern central and southern districts of the state like Dahod and Panchmahals in the next 24 hours to follow. 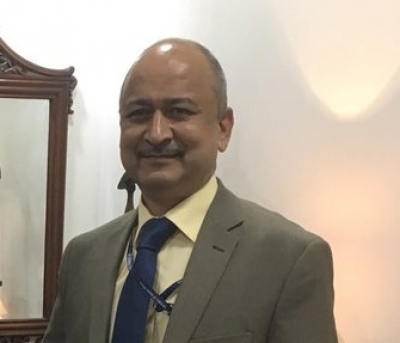 There will be normal to moderate rains in north Gujarat Kutch and the rest of the state for a couple of days " said India Meteorological Department director Jayanta Sarkar.